Yesterday, I discussed a church without a ceiling (Lo Spasimo in Palermo). 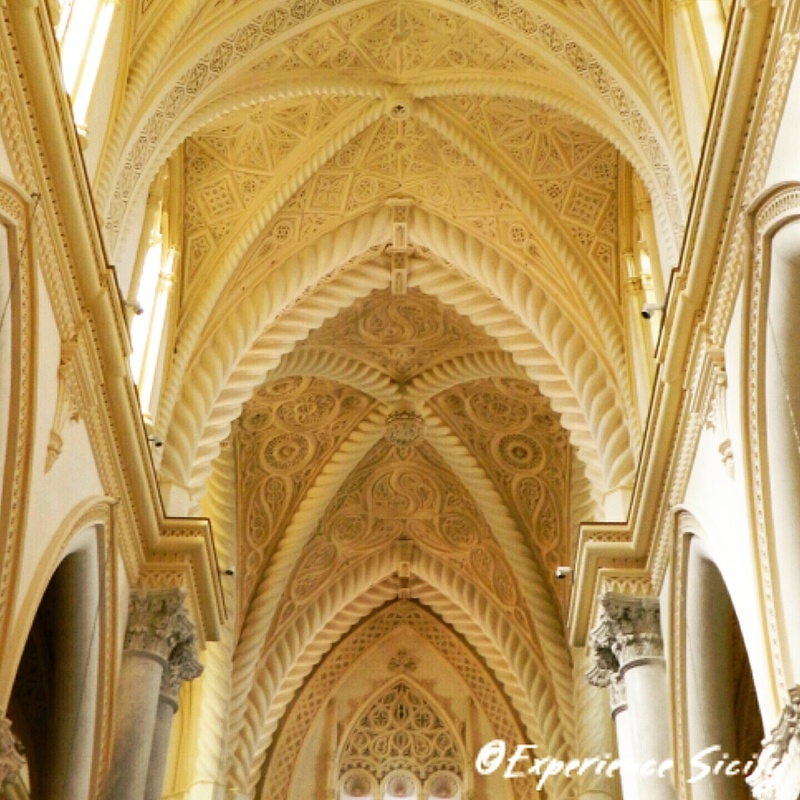 Today, I show you a church with an unforgettable ceiling–the Chiesa Matrice, or Mother Church, of Erice. Outside, this Norman-era building that was first constructed starting in 1314 is modest, yet elegant. Inside, the vaulted, neo-Gothic ceiling that was reconstructed during the 19th century is something to behold. Sculpted out of stucco, it was created to emulate the lace designs for which the women of Erice are renowned. You are so right to think that way. I do as well. The patience and the craftsmanship is remarkable.